This is the eighth in a series of articles Interest.co.nz has commissioned reviewing the key chapters and issues for New Zealand in the Trans-Pacific Partnership Agreement (TPPA). Links to all the analysis in this series are below. Trade can increase the risks to health and safety – not only of humans, but the broader ecosystems upon which the economy relies. Varroa mite, mad cow disease, kiwifruit PSA - these all present threats to the health of our people, ecosystems and economy. Trade agreements often incorporate protective measures that allow countries to prevent these and other pathogens from gaining a foothold on their native soil. In the TPPA, many of these measures are contained in chapter seven - Sanitary and phytosanitary measures. Trading partners tend to agree that these provisions should be included in trade agreements in principle. After all, who wants to allow something as destructive as mad cow into their ecosystems? In practice, however, there are many hurdles to overcome when it comes to the fine print of a Sanitary and Phytosanitary (SPS) agreement. Trading partners often have different health and safety standards, and trading partners therefore often disagree over whether a specific product is a significant health or safety threat. The EU has maintained a long-standing ban on importing beef from cattle treated with growth hormone, much to the ire of cattle farmers in the US and Canada. Meanwhile the EU and Canada have banned so-called pink slime due to the use of ammonia in production. But consumers in the US are still happily munching away on burgers and other meat products that contain the substance. Gross. In such situations trade agreements can have a big effect on the balance of power between the trading partners when resolving these disagreements. And there are two main frameworks to dealing with these disputes. Under the precautionary principle, the importing country is permitted to block or hinder trade if it suspects there is a threat to health and safety, particularly in the absence of a clear scientific consensus on the magnitude of the threat. In other words, it must be proven that the product is safe before unfettered trade can happen. Application of the precautionary principle often results in imports being blocked altogether. Or, if imports are permitted, they are subjected to various protective measures, such as fumigation, which can be expensive. These additional costs are usually passed on the consumer, making it difficult for the imported product to compete with the alternatives. On the other hand, under the so-called scientific approach, the importer can only block or hinder imports if it has been proven that there is a threat to health and safety. In other words, it must be proven that product is unsafe before free trade can be stopped. This approach obviously enables more trade, but potentially comes at the cost of relaxed protection of consumers and ecosystems. Sorting through these issues is one reason why trade negotiators earn their salaries. SPS provisions do not set specific details on the treatments applied to imported products, but they do set principles. And these principles affect how SPS measures are applied in practice. 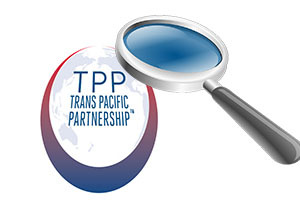 The TPPA is often framed as part of the geopolitical arm wrestle between the US and China. But it is also part of an arm wrestle between the US and the EU, especially when it comes to SPS measures. The EU prefers the precautionary principle, while the US favours the scientific approach. Currently the WTO Agreement on the Application of Sanitary and Phytosanitary Measures allows countries to follow the precautionary principle in some circumstances. But some – particularly experts in the health sciences – are concerned that the TPPA may undermine the precautionary protections permitted under the WTO agreement. The language in the SPS chapter of the TPPA is different to that of the WTO, and follows the scientific approach that the US prefers. This pushes the global norm towards the scientific approach, thereby giving the US more leverage in their trade negotiations with the EU. Several other mechanisms in the chapter tilt the balance in favour of exporters. First, disputes are to be dealt with swiftly. Article 7.17 establishes a Cooperative Technical Consultations (CTC) framework to deal with disputes. It stipulates that when a dispute arises, the two parties must meet within 30 days to address the issue, with the aim of resolving the matter in 180 days. All communications between the consulting Parties in the course of CTC, as well as all documents generated for CTC, shall be kept confidential unless the consulting Parties agree otherwise. It is unlikely that the exporting country will want the media to know that trading partners are concerned about the safety of their product. Only after the full dispute settlement process is invoked will the disputes become public knowledge. Finally, Article 7.5 also establishes a committee on SPS measures with the objective of enhancing mutual understanding of each party’s individual SPS standards and the implementation of the chapter. Some critics, such as the Institute for Agriculture and Trade Policy, are concerned that this panel will be comprised of trade representatives rather than scientists, and that this will have a detrimental impact on the determination and enforcement of the appropriate level of protection. The precautionary principle provides cast iron protections of the health and safety of consumers and ecosystems. But because it can easily be abused in order to protect special interest groups, the precautionary approach can come at the expense of fair trade. The apple growers of New Zealand know this all too well. Up until very recently, Australia had maintained a long-standing ban on importing apples from New Zealand on the basis that fire blight had been found on trees in Northland. Kiwi apple growers began to seek a lift on the ban in 1986 after studies failed to show that the fire blight disease could be spread through commercially traded apples. After two decades of discussion, the ban was finally lifted. But, although kiwi apples were permitted into the country, they had to be subjected to prohibitively expensive biosecurity measures. These were effectively the same as the ban. The case was then taken to the WTO dispute settlement body (DSB) in August 2007. In 2010, the WTO panel found that the biosecurity measures were not justified, and Australia lifted the biosecurity measures the following year. The case illustrates that it is possible to restore fair trade under an SPS agreement that does permit precautionary measures. But it can take some time – four years in the case of the kiwi apple growers. Which approach is best – the precautionary or the scientific? It is a difficult balancing act. But it is important that we get it right. On the one hand, we are a small open economy that must trade to survive. We should cheer any measures that make it harder for our trading partners to shelter their domestic industry from our exporters by hiding behind frivolous safety concerns. But on the other, we are an island nation blessed with a natural maritime border that prevents many pathogens from arriving on our shores. Trade is often how these pathogens make it to our shores – and we should be wary of any measures that make it harder for us to stop them. It is interesting that Ryan should highlight the Precautionary Principle because successive governments have totally ignored it. Unfortunately for the proponents of trade, the Precautionary Principle demands we shut down all trade facilitated by the use of fossil fuels (in other words practically all of it) as quickly as possible because CO2 emissions now clearly constitute the greatest threat to continued existence of life on Earth. Obviously, closing down trade isn't going to happen any time soon, so the greatest experiment in the history of humanity -raising the level of atmospheric CO2 until it causes self-annihilation- continues. The Precautionary Principle is nothing but shameless patch protection, all political. Applied it results in nothing ever getting done, stifling any development. It is pc gone mad. The right approach is rigorous science. It is much harder to be manipulated by armchair politicians, but it is defendable. The trick is to avoid superficial 'science'. It is not fast either when done properly, but at least it results in the right outcomes. The right approach is rigorous 'independent' science, away from political and corporate money. How does one do that I wonder when many scientists as recently highlighted on RNZ this week are bound by confidentiality clauses in corporate and government contracts? Rigorous science informs us that 'we' are at 130 ppm above the pre-industrial level of atmospheric CO2 and 170 ppm above the 800,000-year average, and rising at an unprecedented rate:. "Today’s rate of increase is more than 100 times faster than the increase that occurred when the last ice age ended." Also, rigorous science informs us that: (from UNIPCC) that sea level rise of the order of 15 to 25 metres will occur for a steady-state world of 360 to 400 ppm atmospheric CO2, and that 410 ppm and rising will correspond to even greater sea level rise......anything up to 60 metres. 'Taken together, the average of the warmest times during the middle Pliocene presents a view of the equilibrium state of a globally warmer world, in which atmospheric CO2 concentrations (estimated to be between 360 to 400 ppm) were likely higher than pre-industrial values (Raymo and Rau, 1992; Raymo et al., 1996), and in which geologic evidence and isotopes agree that sea level was at least 15 to 25 m above modern levels (Dowsett and Cronin, 1990; Shackleton et al., 1995), with correspondingly reduced ice sheets and lower continental aridity (Guo et al., 2004). What most people seem to be saying is that we should take no precautions to prevent catastrophic increases in temperature and sea level and make no preparations for them. I'd rather see the precautionary principle being applied to the import of GMO's... let them prove they're safe before we allow our children to consume them as the US has. Just looking at the health problems in the US and their wholesale distribution of new organism (GE) products leaves me wanting LONG-TERM research into the problems they may cause. There is already science saying GMO's can damage organs, fertility and health. Yet all the industry funded research says they're safe as they tested them for 6 weeks (or so).